A village in the province of Tersk, in the Caucasus, which has a Jewish community of about 1,000 persons. These Jews claim to be descendants of the exiles of Shalmaneser. 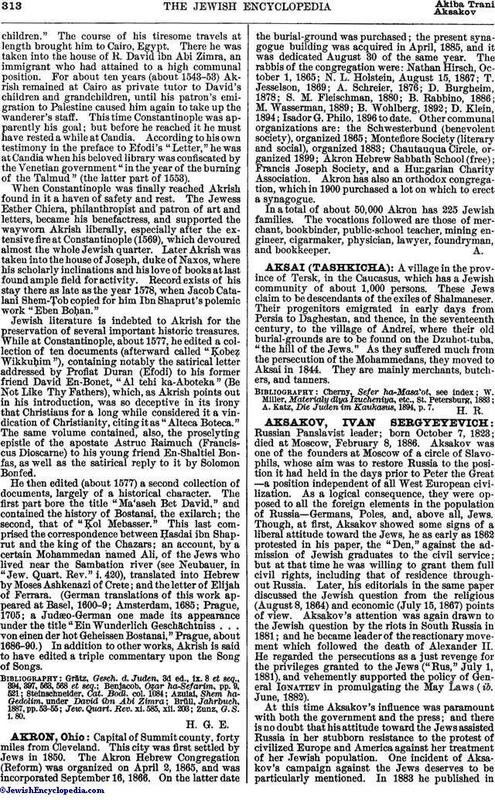 Their progenitors emigrated in early days from Persia to Daghestan, and thence, in the seventeenth century, to the village of Andrei, where their old burial-grounds are to be found on the Dzuhot-tuba, "the hill of the Jews." As they suffered much from the persecution of the Mohammedans, they moved to Aksai in 1844. They are mainly merchants, butchers, and tanners. A. Katz, Die Juden im Kaukasus, 1894, p. 7.